Posted July 10, 2018 by Angee & filed under Member Opportunities. Art fairs can sometimes be an overwhelming experience due to the sheer amount of artwork on display and the large crowds that they draw. However, don’t let this deter you from being part of the excitement this fall art season and join us for a private tour of EXPO CHICAGO (September 27-30, 2018), led by esteemed colleague Susan Musich. Susan will orient our group of Spudnik Press members to the fair’s layout and highlight specific galleries among the 2018 exhibitors (Spudnik included! ), as well as top artists and artworks. Additionally, during our 60 minute tour, our members will have personalized access to gallery owners and representatives and tailored information about site-specific artworks and exhibitions. The 2018 edition of EXPO CHICAGO will align with Art Design Chicago, an initiative of the Terra Foundation for American Art, to present various programs and events throughout EXPO ART WEEK (September 24–30, 2018) including panel discussions, performances, and activations across the city. For more information about EXPO CHICAGO visit www.expochicago.com. 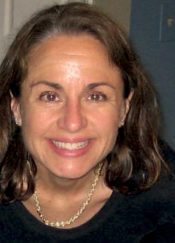 Susan Musich is Executive Director of Homeroom, a collaborative, multidisciplinary arts organization. In addition to her role at Homeroom, she manages the tour program at EXPO CHICAGO and is an independent contractor providing content-based, communications, philanthropic, and board development services to arts organizations and foundations. Musich spent 20 years at the Museum of Contemporary Art as an educator and programmer. She was the MCA’s primary lecturer, managed the docent program, created interpretive materials, and worked with art historians, artists, and curators to produce public programs. Space is limited to 25 members. Advanced registration is required. The non-refundable registration fee can be paid online. Please note, transportation to EXPO CHICAGO is not provided. Registrants are responsible for providing their own transportation to and from the art fair and for arriving on time. An itinerary of the off-site visit, including instructions on where to meet upon arriving at Navy Pier, will be sent to all registered participants on Thursday, September 27, 2018.